Sold Out says that it will be in the publisher Top Ten rankings by the end of Q1. 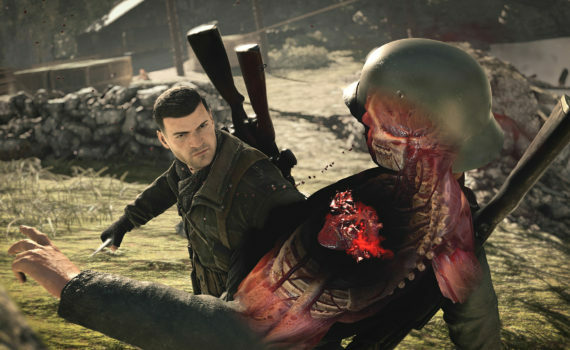 The company says that it predicts strong sales of the physical release of Sniper Elite 4 – developed by Oxford-based Rebellion – as well as the boxed version of Kickstarter darling Yooka-Laylee. Sold Out began life in February 2014, and generated £4m in turnover, and is targeting £18m-to-£20m for its third year in business. “In the last three years we have come from a small operation to something that I think will be a Top Ten publisher for this first quarter,” MD Garry Williams said. “Nobody else has a line-up like it that I’m aware of. Sniper Elite 4, then Yooka-Laylee boxed release will propel Sold Out into the ‘triple-A’ stratosphere of worldwide publishing. Demonstrating that with controlled overheads and enough passion together we can still compete with the biggest publishing names.